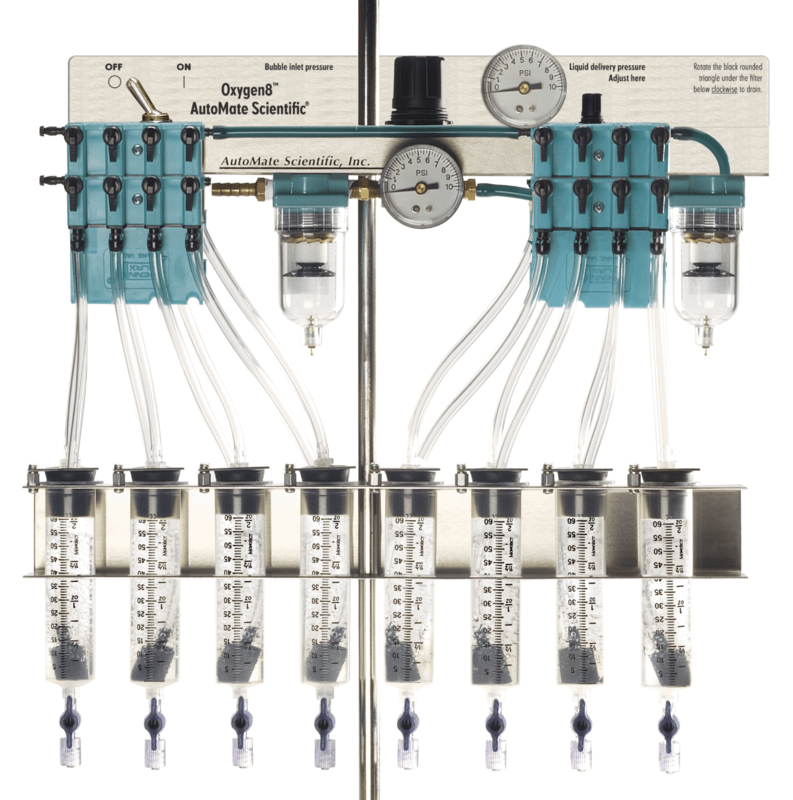 Add a precision pressure regulator and syringe reservoirs for faster perfusion switching, steady flow, microinjecting, fine microliter delivery, or small pipette delivery. Avoid harmful pressure pulse artifacts produced by peristaltic pumps. 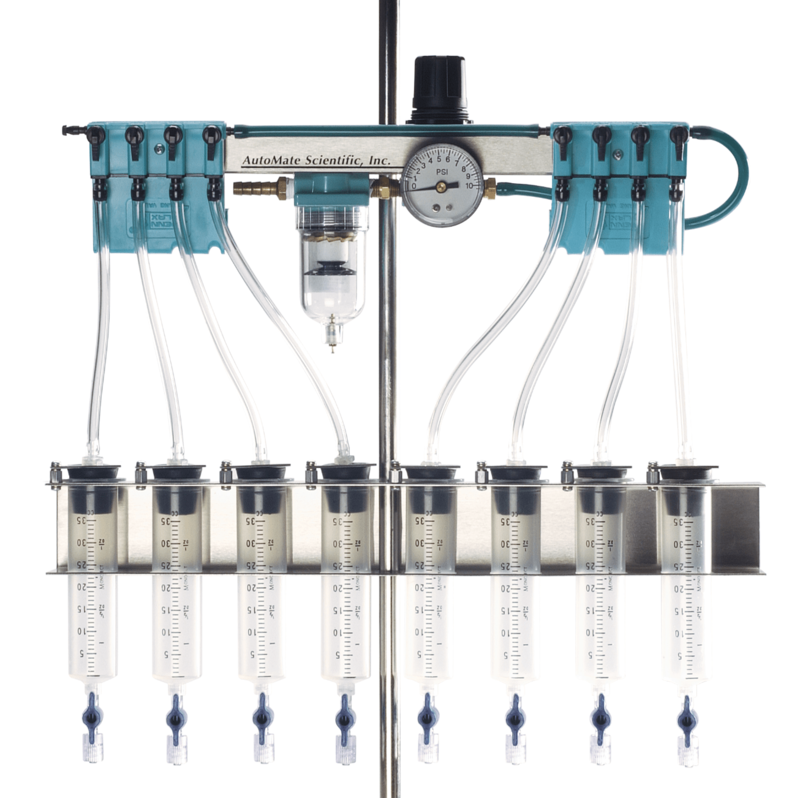 The Perfusion Pressure Upgrade uses steady air pressure and is easy to add to any new or existing gravity perfusion system. Also available with glass syringes for volatiles. A multi-barrel manifold for focal drug application in single-cell or whole cell perfusion, the Perfusion Pencil enables millisecond solution change with micro-liter dead volume. No piezo or stepper motor translation or clumsy rotating valves are needed. 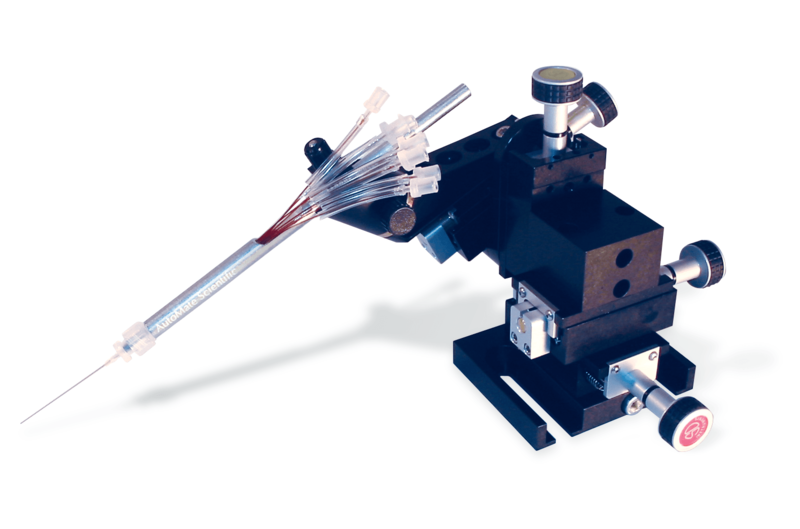 Easy micromanipulator mounting. You need rapid liquid switching with oxygenated solutions. How do you bubble Carbogen gas into closed, pressurized reservoirs? After several years of research, AutoMate Scientific has finally solved this engineering problem: bubbled, pressurized perfusion.